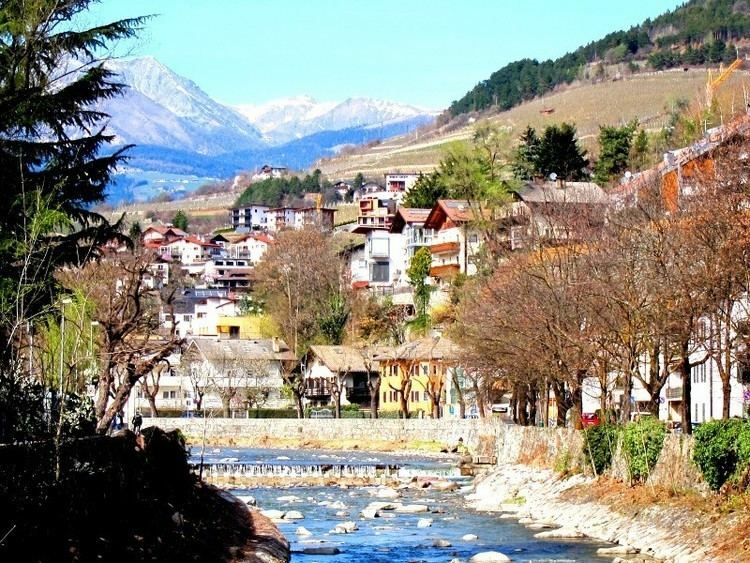 Brixen ( [ˈbrɪksn̩]; Italian: Bressanone [bressaˈnoːne]; Ladin: Porsenù or Persenon) is a town in South Tyrol in northern Italy, located about 40 kilometres (25 mi) north of Bolzano. 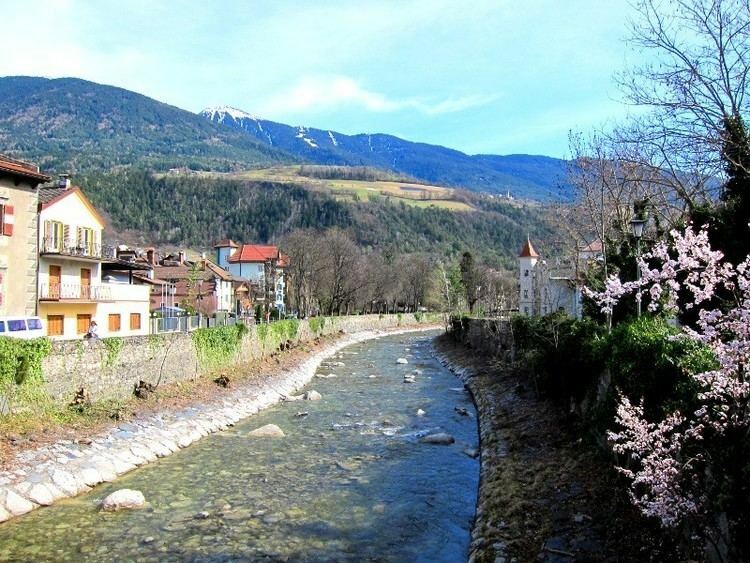 First mentioned in 901, Brixen is the third largest city and oldest town in the province, and the artistic and cultural capital of the valley. 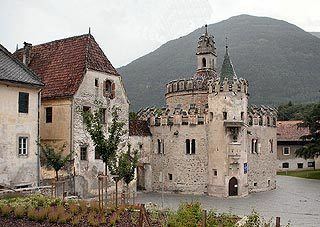 It is located at the confluence of the Eisack and Rienz rivers, 40 kilometres (25 mi) north of Bolzano and 45 kilometres (28 mi) south of the Brenner Pass, on the Italy-Austrian border. It is flanked on the eastern side by the Plose and Telegraph (Monte Telegrafo) mountains (2,504 m) and on the western side by the Königsanger (Monte Pascolo) (2,436 m) mountain. Frazioni / incorporated villages: Afers (Eores), Albeins (Albes), Elvas, Gereuth, Karnol, Klerant (Cleran), Kranebitt (Costa d'Elvas), Mahr (La Mara), Mairdorf, Mellaun (Meluno), Pairdorf (Perara), Pinzagen (Pinzago), Plabach, Rutzenberg, St. Andrä (S.Andrea), St. Leonhard (S.Leonardo), Sarns (Sarnes), Tils (Tiles), Tötschling (Tecelinga), Tschötsch (Scezze), Untereben. The area of Brixen has been settled since the Upper Paleolithic (8th millennium BC). Other settlements from the late Stone Age have been found and in 15 BC, the area was conquered by the Romans, who had their main settlement in the nearby Säben (Sabiona). They held it until around 590, when it was occupied by Bavarians. The first mention of Brixen dates to 901 in a document issued by the King of Germany, Louis III the Child, in it a territory called Prihsna is assigned to Zacharias, bishop of Säben. As time passed, "Prihsna" turned into the current name of Brixen. 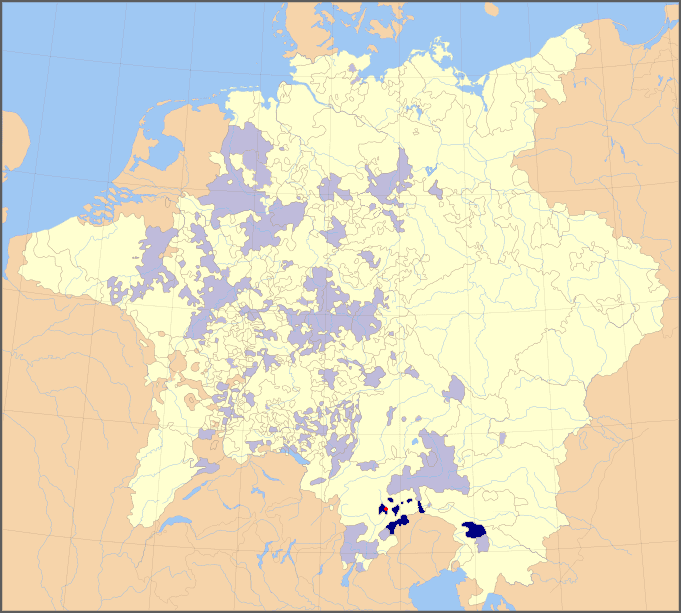 The bishops moved here from Säben in 992, after the Cathedral had been finished. In 1039, the Bishop of Brixen, Poppo, was elevated to Pope by emperor Henry III. However his reign lasted for only 23 days. Yet in the same century, Brixen became the seat of an independent ecclesiastical principate which, in the following years, struggled for existence against the neighbouring county of Tyrol. In 1115, a first line of walls encircling Brixen was completed. The bishopric was secularized in 1803 and annexed by the Austrian Empire. Between 1851 and 1855, the Czech journalist and writer Karel Havlíček Borovský was exiled by the Austrian government to Brixen. After the end of World War I, Brixen was annexed by Italy. The oldest coat of arms dates back to 1297 with the lamb, known then from 1304 as a symbol of the lamb. On 13 November 1928, a shield with the city walls and a gate on the lawn in the upper half and the lamb in the lower was adopted. The emblem is a turned argent lamb with an or halo on a gules background; the right foreleg supports a flag with a gules cross. The emblem was granted in 1966. The Cathedral (10th century), was rebuilt in the 13th century and again in 1745–54 along Baroque lines. The ceiling of the nave has a large fresco by Paul Troger portraying the Adoration of the Lamb. The Hofburg, a Renaissance Bishop's Palace (started in the 13th century), one of the main noble residences in South Tyrol. The Diocesan Museum has several artworks, including a presepe with 5,000 figures created for Bishop Karl Franz Lodron. The round parish church of Saint Michael (11th century). The Gothic choir and the bell tower are from the 15th century while the nave is from the 16th. The main artwork is a wooden Cireneus from the 15th century. The Pharmacy Museum (Pharmaziemuseum Brixen), located in a nearly 500-year-old townhouse, shows the development and changes of the local pharmacy. The Peer family (now the 7th generation) has run this pharmacy since 1787, always in the same location. The museum's carefully restored rooms illustrate the development of the pharmaceutical profession over the centuries and the changes in remedies used, from the testicles of a beaver and pieces of an ancient Egyptian mummy to modern plasters and lyophilisates. All the objects and medicines on display were in use over the centuries. The Museum also has a library for historical research and the archive of the Peer family. In a separate room there is a multimedia display of the history of the family. Outside the city is Rodeneck Castle, one of the most powerful of its time. It has precious frescoes from the early 13th century. Also important are Reifenstein Castle and Trostburg Castle in Waidbruck. In the latter lived the adventurer and minstrel Oswald von Wolkenstein. According to the 2011 census, the majority of the population speaks German as first language (72.82%). The remainder of the inhabitants speak Italian and Ladin as first languages, with percentages of 25.84% and 1.34%, respectively. The rock band, Frei.Wild, has its origin in Brixen. Brixen has a railway station on the Brenner Railway, which connects the town to Verona and Innsbruck. It has an individual fare structure for public transport within the Tirol-Südtirol zone. By road, the town has two exits on the Brenner Autobahn that connects Brixen to the Brenner Pass. Brixen hosted the 2009 World Youth Championships in Athletics. 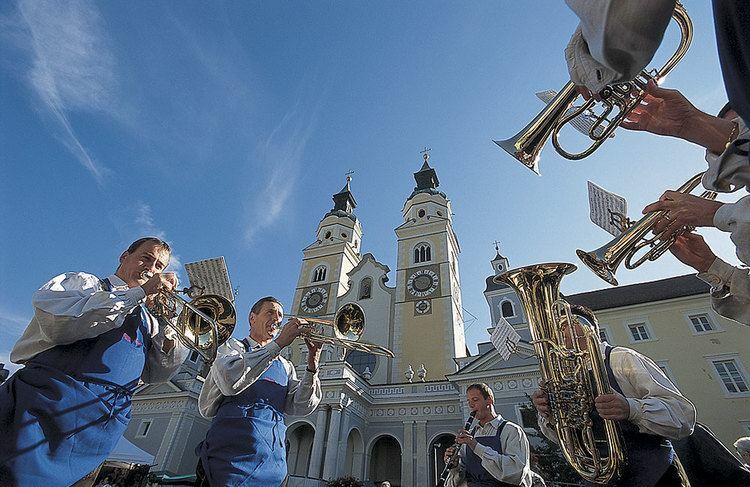 Brixen hosted the 16th Unicycle World Convention and Championships (UNICON) in July 2012.